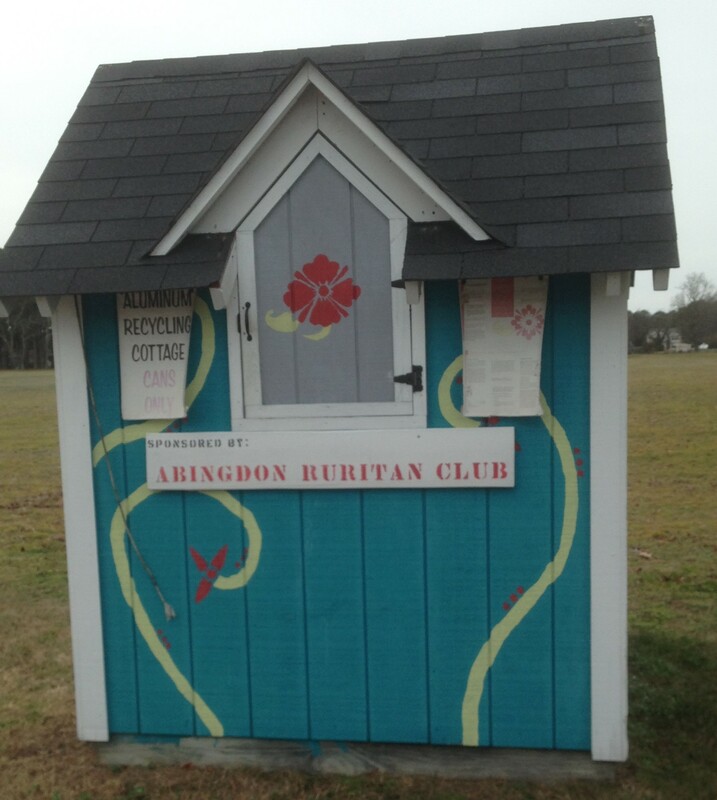 Welcome to our Abingdon Ruritan Club web site, where we invite you to get to know us by browsing our pages. Our club is located in the Bena area of Gloucester County, in coastal Virginia. Our club is vibrant, vigorous, and robust! Members, both men and women, work together to continue the vision of our founders by working to better our community. Ruritan National does not discriminate on the basis of age, race, national origin, religion, color, political affiliation, handicap, or gender. Membership in a Ruritan Club is by invitation. We welcome anyone who is interested in working and giving time to our community projects to let us know of your interest. We meet monthly for dinner and a program. Our programs showcase organizations that our local club supports as well as topics of interest in our community. 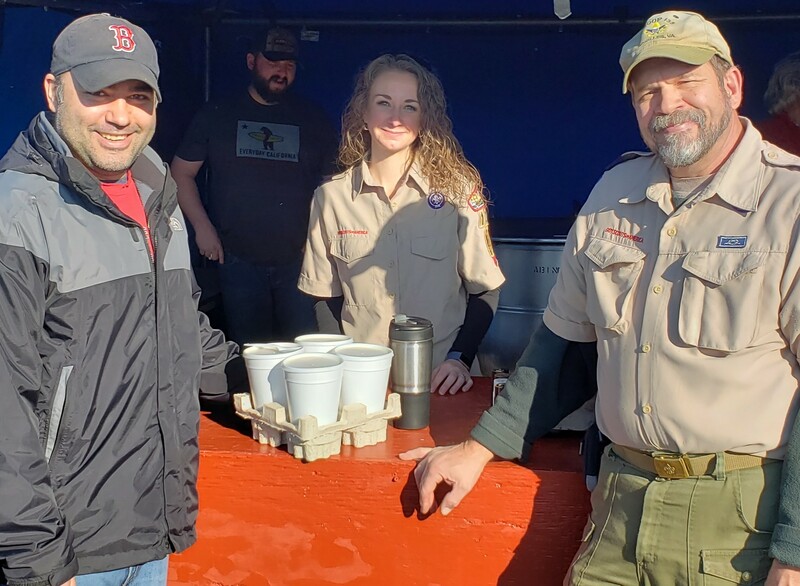 On Saturday, February 2, our Clam Chowder sale was a huge success, thanks to many returning customers who lined up for the club’s famous chowder. Club member Walter Priest led the event that raised over a thousand dollars for local Cub Scout Pack 133. Pack Leaders, Purchasers, and Ruritan members together made the event successful! Seafood Festival tickets are SOLD OUT. We have a Can Cottage on our grounds that benefits The Giving Garden, a local charity serving cancer patients. Why not bag up your empty aluminum cans and bring them to the Can Cottage? New College Scholarship Application Forms are posted on our Scholarship Opportunities Page. Gloucester High School and Gloucester Home Schooled seniors are invited to apply. The next Red Cross Blood Drive will be held in our club house on November 26, 2019. Visit our Community Services Committees page to see photos and details about some of our activities, or scroll down for a quick overview. Spring and Fall Seafood Festivals – We give back to the community over $60,000 each year. Clam Chowder Sales – Offered in winter months with profits going back to the community. College Scholarships – The Club awards $6000 in renewable Scholarships each year. Gloucester Schools – We support Ruriteens, Boys and Girls State, Junior Law Cadets, Cub Scouts, Girl Scouts, 4-H, Little League Baseball, the STAR program, and the back-pack program. Rudy Bears – Bears are given to the Sheriff’s Office for distribution to children in accidents or in vulnerable situations. Support Veterans – We participate with Veterans groups and Gloucester County on Memorial and Veterans’ Days and deliver care packages to VA Hospitals. Support for the Homeless – Our Club participates with Community Churches in the GUEST program by providing meals and hands-on assistance for homeless individuals. Christmas for Kids – Every December we host a party for all children, ages 8 and under, followed by a special party for Foster Kids of all ages. Santa and Mrs. Claus preside over both parties with lots of food, entertainment, fun, and presents. We also sponsor an Angel Tree for needy children with their personal “wishes” including clothes and shoes by size. Protecting the Environment – We participate in Gloucester County Clean Up and help plant Sea Grass to save shorelines from erosion. Benevolence – A fund is set up to help Gloucester citizens with special financial needs. Special Emphasis – We work closely with our local Sheriff’s Office; provide our facilities for Blood Drives and local, state, and national elections; promote and provide a team for Relay for Life; and participate annually with the Guinea Jubilee. We collect and deliver food to local churches to stock their food pantries, participate in Meals on Wheels, and donate pet food to the Humane Society. Teamwork – We send cards and visit members who are sick and honor those with birthdays and anniversaries. All members share in cooking meals for monthly meetings, as well as working the Seafood Festivals to set up, advertise, sell tickets, cook, serve, and clean up. Members also maintain and repair ARC buildings and grounds. Programs for monthly meetings are used to inform, train, and entertain our members. Visit our Community Services Committees page to learn more.